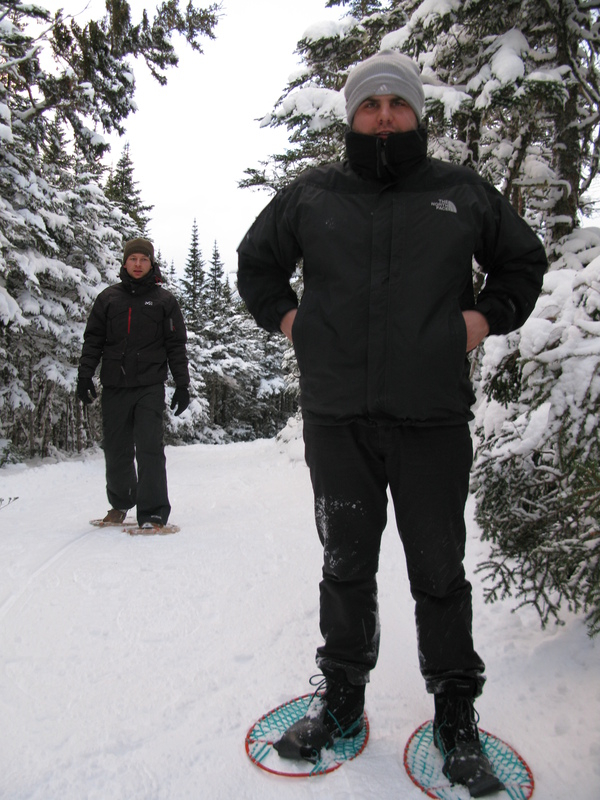 Snowshoeing in the great outdoors on the Great Northern Peninsula is a favourite pastime for many residents. I decided that this is an activity my two visiting friends must also experience. I took my three pairs and off we went. The woods is the perfect place to get-a-way from it all! The powdery white stuff is quite magical stuff. 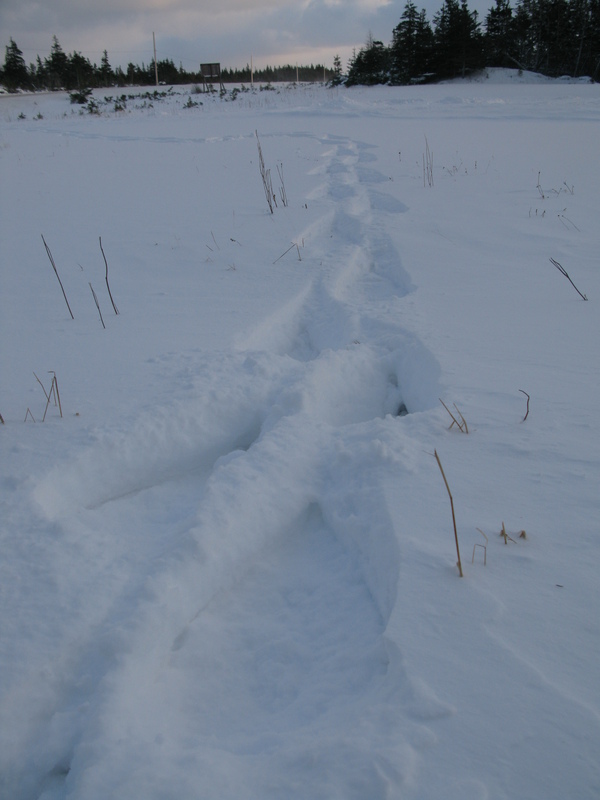 After walking several kilometres, we say footprints of rabbits, snow on trees and could breathe the clean pristine air on the Great Northern Peninsula. When one turns around to look back at the road just traveled, one may find the journey was not easy getting to this point, but the experience worth the push. We certainly made a detour, but that was part of the fun. “Don’t worry about the destination, even if you stray, the most important thing is what you have learned along the way” – All roads lead to success, even detours. – Anon. 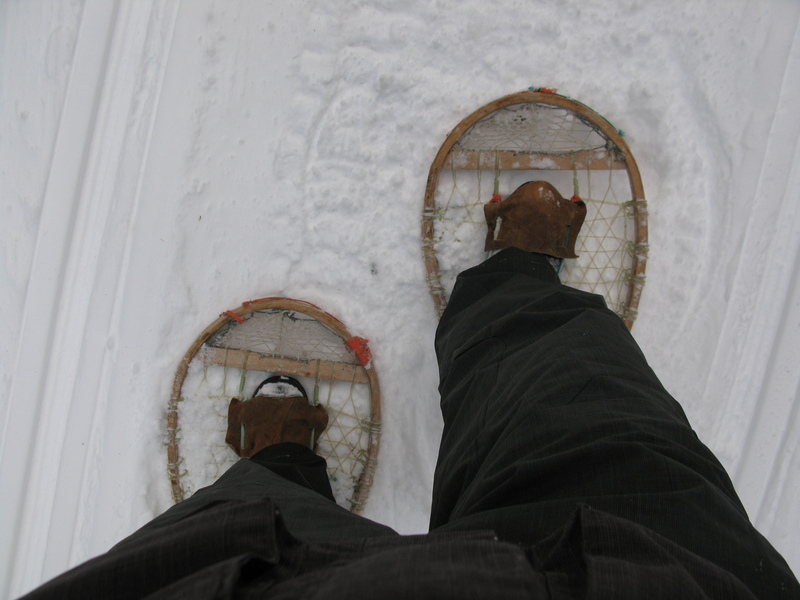 So grab your sealskin snowshoes and experience the great outdoors. Don’t worry if you get lost, the detour will be worth it. 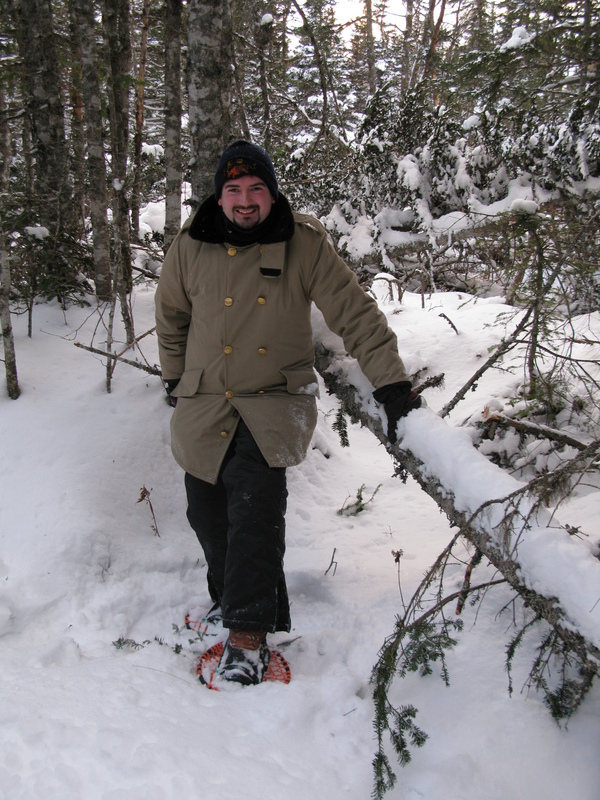 Posted on February 3, 2012, in Tradition, Vacations and tagged canada, Great Northern Peninsula, Labrador, Newfoundland & Labrador, Recreation, seal, Snowshoe, The Straits White Bay North. Bookmark the permalink. 2 Comments. Tks. Christopher, yesterday was Sealskin Day in Ottawa, thanks for everything you do for the Northern Peninsula, letting the world know that this place exist and all of the natural and earthly things we have here should be experienced. Thank you once again. Ohh I wish I had a pair! They look like so much fun.